Recent accretive acquisition of KDC SGP 5 to drive growth in FY19-20F. Manager continues to look for acquisition opportunities with a recapitalised balance sheet. Operational results remain stable with limited expiries in the coming two years underpin a 3% CAGR in DPU. BUY maintained, Target Price cut to S$1.52. 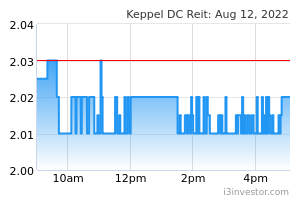 Trading at a yield of 5.6%, Keppel DC REIT (KDC REIT) remains one of the few REITs in Singapore that can make accretive acquisitions, supported by low cost of capital. The REIT is projected to deliver solid 3% CAGR in distributions, supported by ambitious growth plans. Maintain BUY with Target Price revised to S$1.52. 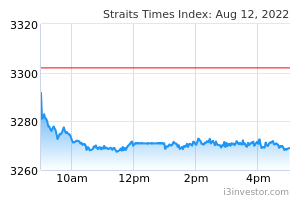 Our Target Price of S$1.52 is the highest in the street. Our estimates are conservative compared to consensus, after pricing in the recent acquisition of a 99% interest in Kingsland Data-Center (KDC SGP 5) and fund raising. Our numbers could be raised by a further 3% if the manager achieves tax transparency status for its stake in KDC SGP 5, which we have not priced in. 1Q18 results were in line with expectations, coupled with a sustained portfolio occupancy of 92.6%. With limited expiries over the coming two financial years, there is high income visibility. A pick-up in occupancies and rental reversionary prospects turning positive can help lift our earnings estimates. We maintain our BUY recommendation with a revised DCF-based Target Price of S$1.52. Our Target Price is lowered on the back of a higher than anticipated equity fund raising. Keppel DC REIT (KDCREIT) has recently completed the acquisition of a 99% interest in 13 Sunview Way ("Kingsland Data-Centre") for S$295.1m. Kingsland Data-Centre is a five-storey, purpose- built, carrier-neutral colocation data centre hosting leading Internet enterprise and IT service clients. The 98,769 sqft NLA data centre is located in Jurong and is a new facility and was completed in phases starting from 2015 by the vendor. According to KDC REIT, the facility’s IT power is fully committed and has a committed occupancy rate of 84.2%, with the vacancy coming from the on-site offices. The manager will actively look to lease out in the coming quarters. The acquisition of Kingsland Data-Centre (renamed to KDC SGP 5) will refocus the portfolio back to Singapore and will grow the REIT’s footprint to 300k sqft of NLA in the data-centre space in Singapore. The addition of the property will diversify its offerings to clients and expand its tenant reach. Based on our estimates, KDC REIT will derive 51% of topline from its Singapore, up from 45% previously. With Kingsland Data-Centre still ramping up operationally and tenants slowing taking up the committed space, the vendor has given a rental support for a period of 12 months from completion of up to S$8m, when underlying adjusted net property income is below a pre-agreed amount. In our estimation, we target first-year NPI (with income support) to reach S$20.3m before stabilising at close to S$23m (at 84% occupancy rate). This implies a first year yield of 6.8% and a stabilised yield of 7.8% respectively. The manager has executed on a private placement to raise gross proceeds of S$303.1m (224m new units was issued) at S$1.35/unit. Given its low cost of capital, KDC REIT has chosen to fund the acquisition fully by equity (higher than our initial forecasts), thus bringing down its post acquisition gearing level to 33% (vs 36% previously). With a lowly geared balance sheet, we believe that the REIT will remain on the acquisition path. Assuming a 40%-45% gearing limit, we estimate that KDC REIT has a debt-funded headroom of S$150m-S$350m. Estimates revised to account for higher number of units issued. We have revised our DPU estimates due to the higher- than-anticipated fund raising (S$303m raised vs S$180m in our estimation). KDC REIT offers an attractive 3.0% CAGR in DPU over FY18F-20F.